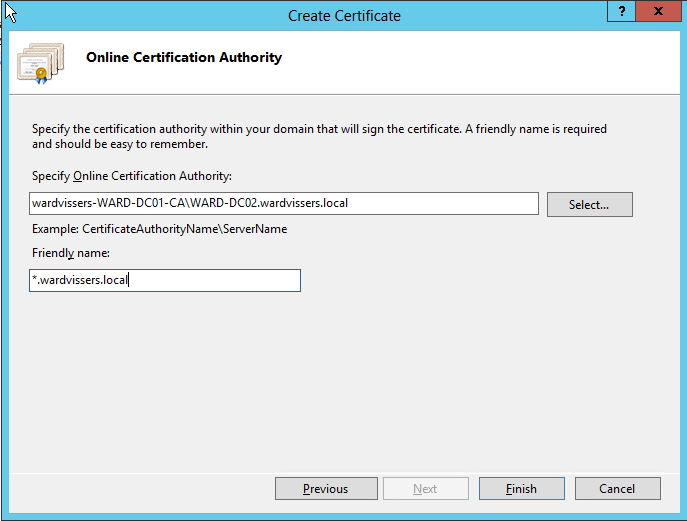 I created I internal wildcart Certificate. This i ideal when you want do some testing and you not any certificate from a Third-Party. 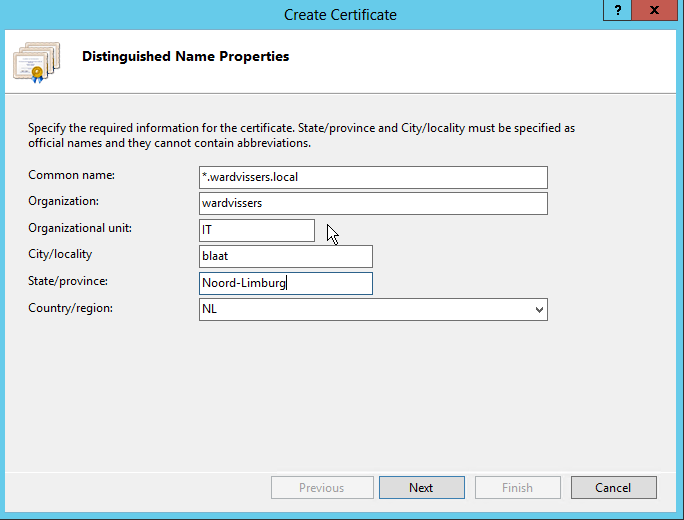 Now you can export this Certificate . Very handy when you want to test Exchange 2013 & TMG or any other product.